Click on the standard title to see the assessment scores. 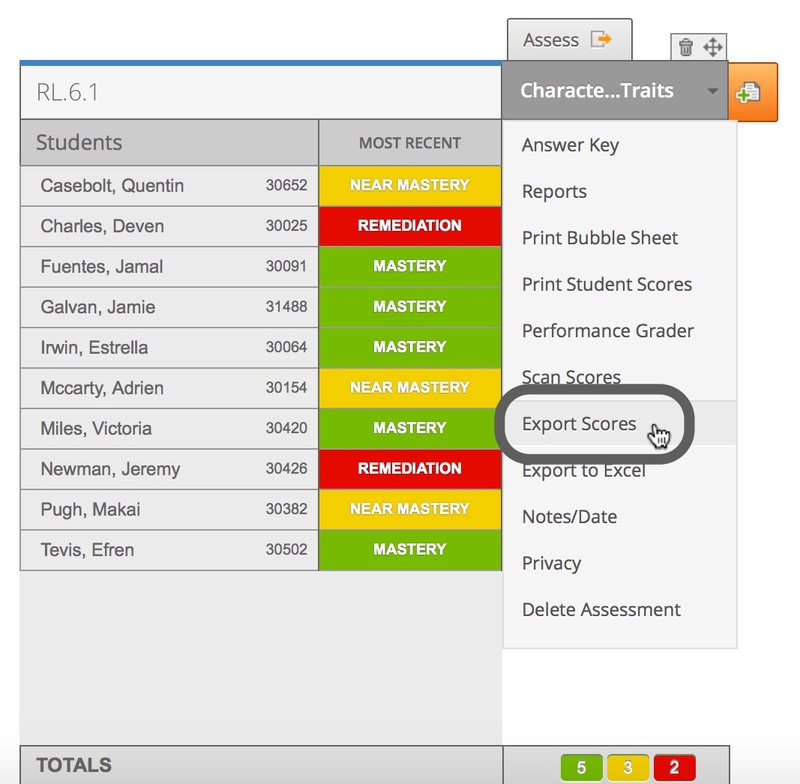 For a single standard assessment, hover over the assessment title and select Export Scores. 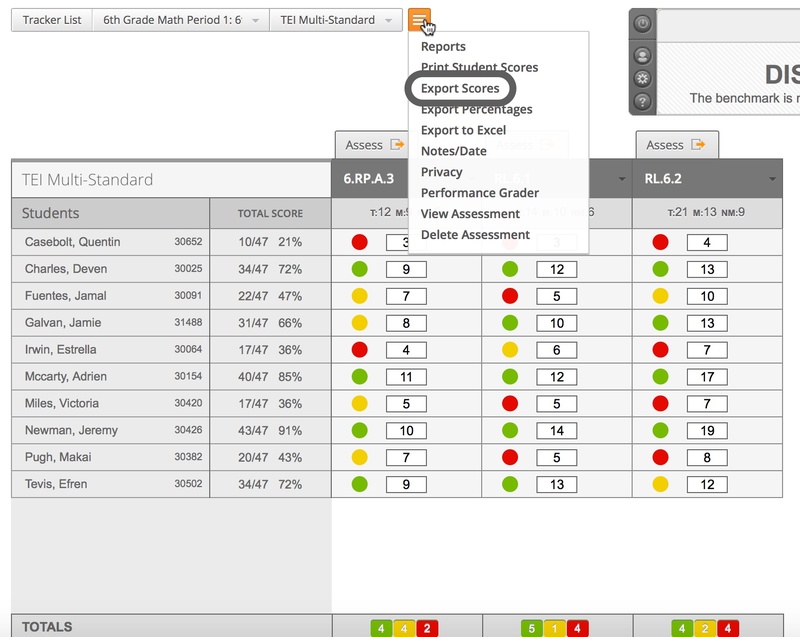 For a multi-standard assessment, click on the title of the assessment, then hover over the orange menu button and select Export Scores. You can also export scores for each standard. Hover over each standard title and select Export Scores. Make sure your students are listed in the same order as your grade book, whether that is by name or student ID number. 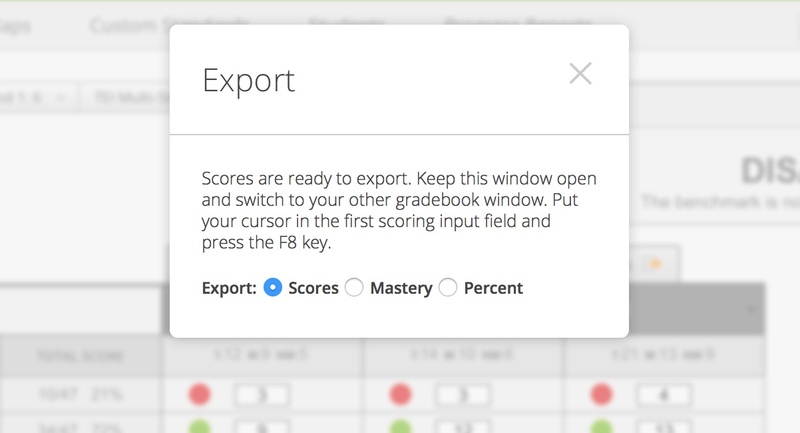 If you have the option, click to export Scores, Mastery, or Percent. If no option is given, scores will be exported. Follow the instructions given on the screen. Place your cursor in the first scoring field of your grade book, and press the F8 key on your keyboard. If you're using a Mac, you'll need to hold down both the fn and F8 keys. Note: Open your grade book in an additional browser window, instead of another tab, for better results.